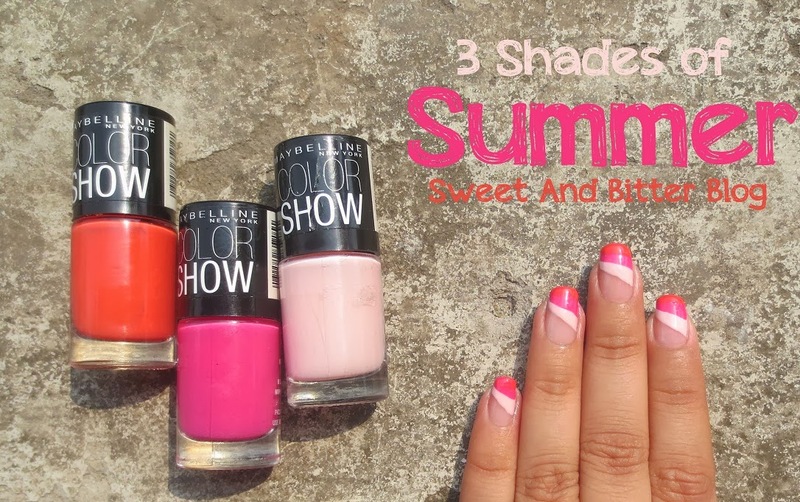 Which colors do you like for nails during summer? I tend to be biased toward Glossy Pastels, Pinks and Brights. So, I created a very simple nail art using these colors. Actually, I planned on doing a simple 'Pastel Colored French Manicure' but then I was not happy with use of just one color. One thing lead to another and this slanted tiered nail art happened. I have not used tapes so, the lines are not perfect. 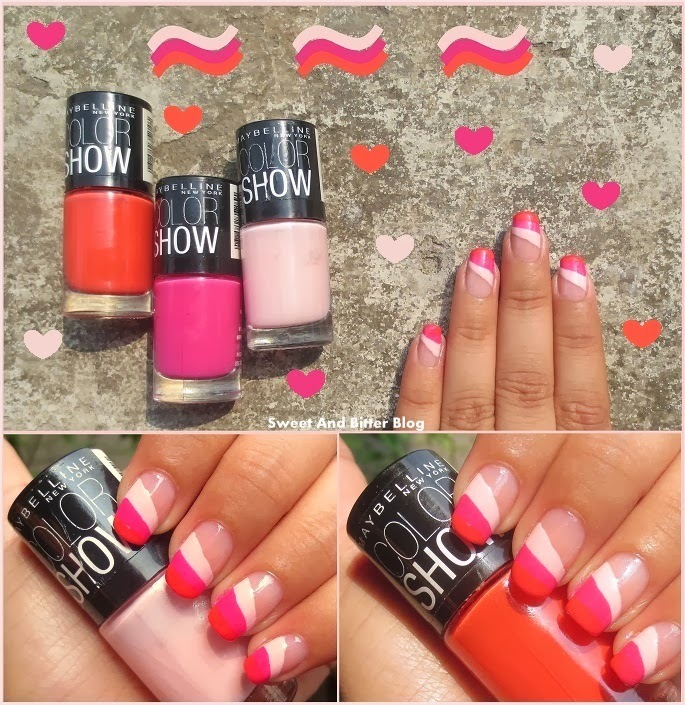 Maybelline Color Show nail paints are good for nail art because the color comes opaques in 1-2 coats. For Base Coat, I have used 'Rimmel All White Now'. It truly is a must have. The tiny blue shimmer make nail base brighter and reduces yellowness. Check swatches HERE to see the difference with and without 'Rimmel All White Now'. For Top Coat, I used Maybelline Crystal Clear - not a good idea as it does bubble up at times. See how the base looks fresh - all credit goes to 'Rimmel All White Now'. I hope you liked this very simple nail art. You can also try to different color set of the sample family. Example - pastel blue, sky blue and then a darker shade of blue of your choice OR pastel green, spring green and then a darker green of your choice.